Don’t ho and hum any longer. I have found five great gifts for the home that anyone will ohhh and ahhh over when they open them – even men (I think!). Let’s start with Cariloha. One of the best stores ever, in my opinion of course. You know how much I love them. Everything is made from super soft bamboo from clothes and socks to items for the home – sheets, towels and blankets. Soft: Bamboo apparel, bedding and bath goods are twice as soft as cotton. Cariloha Bamboo Throw Blanket. I even found it on Amazon but you won’t get the free shipping. Can’t say enough good things about this Thick, Plush, Ultra-Comfy blanket. Ours lives on the family room couch, as do a few other blankets, but this is the one that gets fought over! It’s heavy and so soft and warm you’ll want to snuggle in forever. Cariloha Towel Set. Also on Amazon. Speaking of fighting over Cariloha products, I’ve lost the fight with the towels. They are permanently attached to my husband’s hook and he wants them washed over and over. I think I need to get him another set this year! They are super soft. Gosh, how many times can I say soft when it comes to these products? Once you use them you won’t want to another! Check out Cariloha.com for lots of great gifts! Let’s keep going on more great gifts for the home. Now here is a product that I (and I’ve even roped in Hubby and a kid or two) can’t sleep without. Sleep + Sound Mini, a sleep therapy system. I have to sleep with a fan on at night. I need some kind of soft noise to fall asleep to. This is not ideal in the cold months or when I travel. Now I have choices! 12 Distinct Sound Categories with 48 Unique Sounds. I of course love the fan sounds, but the ocean waves have become a favorite too. I feel like I’m on the beach again! It’s so relaxing and small enough that we can bring with us anywhere. It has a timer if you want it to turn off once you fall asleep and an audio jack if you partner isn’t too keen on your noise. Plus, I love that you can use it as a speaker for your smart phone! Now time for a couple of great gifts for the home – in the kitchen! Capresso Iced Tea Maker is such a cool device that I didn’t even know existed until this post. Our family has been shying away from the sodas and sugary drinks and tea is made often. I can’t tell you how much I love making a whole pitcher of tea at once that will last! Brew your favorite loose or bagged tea. Add ice and store in your fridge with the glass pitcher. Easy peasy! It even comes with recipes to flavor your tea with fresh or frozen fruits and natural sweeteners. Great for iced coffee too, but recommended you purchase another filter for taste reasons. Zoku Instant Ice Cream Maker. We can’t get enough of this little ice cream maker. Make fresh ice cream, frozen yogurt, gelato, and granitas in minutes. Well, about 10-20 depending on how thick you like your ice cream. 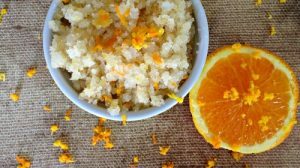 What is really neat – no electricity required! The kids are going crazy with this thing and believe me Hubby and I are in awe too. We most often just make vanilla ice cream and it is SO good. I didn’t know vanilla could taste that great – ha! It is a little bit of work I will admit. My arms gets a workout because you have to constantly be stirring it for 10 minutes to thicken it up and you can’t slack. One of the downsides is it really is only for one person, though I do try to stretch it and get two batches out of it. The first night we used it, I went on Amazon and bought another so there is always two in the freezer waiting to be used. This was a must with 3 kids who not-so-patiently want fresh ice cream. I am seriously considering buying every single family member this as a gift this year! AMAZON Black Friday DEAL – the Zoku in GREEN is only $12.96! Did you find some Great Gifts for the Home? I partnered with these brands for this post and links may be affiliate. All opinions are my own. This giveaway will end on November 28, 2016 at midnight MST. Winners will be drawn via rafflecopter. Once a winner is drawn I will contact them and they will have 48 hours to reply before I draw a new winner. Giveaway is open to anyone in US and you must be 18 years of age or older. Giveaway not affiliated with Facebook & I release them of liability. Winner will be posted in the rafflecopter widget. the iced tea maker looks pretty cool! I really want the Zoku Instant Ice Cream Maker, it sounds amazing and I love that you can make whatever flavor you are in the mood for. I would really like to try out bamboo anything! This is such a great package for my family. For me, I love the blanket. For my husband, the sound machine. For my 11 yea old daughter, the ice cream maker. As an added--for my mom-the coffee machine. Hard choosing my favorite, but that brown bamboo blanket looks so nice and cozy. I can already picture myself snuggled underneath it while reading a book and enjoying some nice hot herbal tea. I really want that bamboo blanket! These are fabulous gifts! I would love to have the throw in my own living room. I would love to try the Capresso Iced Tea Maker, i've given up soda altogether but I can't give up iced tea. These are such great gifts. I love them all. My kids would love the ice cream maker. I'd love to give myself the Cariloha Bamboo Throw Blanket. I really want the Cariloha Bamboo Throw Blanket. I love their products and have wanted one of their blankets for awhile now. I would love the noise machine for hubby! I really want that Cariloha Towel Set! 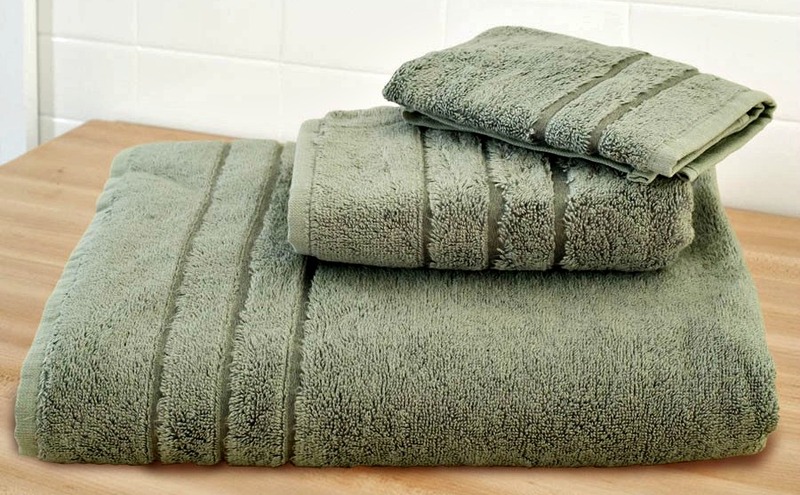 These towels look so soft and plush! There's a couple things I really need so I would use those and the rest give as gifts to my friends. I like the ice tea maker for myself. My daughter would love the ice cream maker! I would love the bamboo blanket and the sound machine the most. My son always sleeps with a sound machine! Love these ideas and my mom asked for a new blanket for Christmas this one looks really nice too. My hubby would love the Capresso iced tea maker. He loves tea, but we don’t make it a lot because it’s so much work. I would like the towel set! All the gifts are great! I can always use more towels and throws tho. I'd use the ice cream maker a lot. The blanket looks so cozy. Would love it! My husband would love the ice tea maker. I would gift the Carihola bamboo towels to myself. You had me at soft. I love the Sleep + Sound Mini that would sure come in handy for me and thank-you for the wonderful giveaway! The Cariloha towels and blanket would make a nice gift for my mom, who always complains of being cold. I would like to have the Cariloha Bamboo Throw Blanket. I LOVE the Iced Tea Maker, I had no idea there was such a thing! These are all great gifts! I like the bamboo throw blanket. I just have to have myself covered while sitting to watch TV, read, or be on my computer. I am always chilly. This would really help keep me ward. It looks so soft. I really like the Iced tea maker. My husband and I would use it. That instant ice cream maker sounds marvelous! Would love to be making my own delicious ice cream. I'd love for Santa to bring the Cariloha Towel Set. My nephew would love the Zoku Instant Ice Cream Maker. The new set of luxury towels looks very nice! My son would love the blanket and also the sound machine! Lots of cool ideas, thanks! N the iced tea maker and the blanket look wonderful! I would like the Iced Tea Maker. This would be so handy to have. I love them all but I would definitely share. This could cover a couple people on my christmas list. I'd keep the blanket for myself though. They are all great and useful gifts! Oh my gosh they all sound amazing but I have been wanting to try the sleep machine for awhile now so thank you for the chance to win all these! I see several that *I want starting with the ice cream maker and the towels! These are such great items. I would enjoy the ice tea maker. I really want a good chef's knife for my kitchen! The sleep & sound mini would be great! The Capresso Iced Tea maker would be a great family gift here. I really, really want an Instant Pot this year. I think that bamboo throw would make a perfect gift. I REALLY, REALLY want a new crockpot. Including one of the ones you can use from an app on your phone! I am a tea drinker, I would love to have the Capresso Iced Tea Maker, I love that you can put it in the fridge. I like it all. I need the throw because when I watch tv my feet gets cold. I would love the Capresso Iced Tea Maker for myself (with an extra filter for iced coffee. I think the Sleep & Sound mini would make a terrific gift. I really want those bamboo towels! I would love the Cariloha Towel Set. They are so soft and lovely! My sister would love the Capresso iced tea maker. I really like the Sleep + Sound Mini. My daughters would enjoy the iced tea maker although I think they would mainly use it for iced coffee. I want a treadmill. It doesn't have to be fancy or even brand new, I just want one. Great gifts!! I want the blanket for myself, it looks so cozy! These are great gift ideas! I would love to try the Cariloha towels they sound great! Thank you for the chance to win! All of these are great gift ideas! I love everything here, but I absolutely have to keep the sound system for myself. I need desperately to sleep. Everything else, even though I love it all, I could part with and not feel bad that I gave it away. This is a very nice giveaway. Thank you. 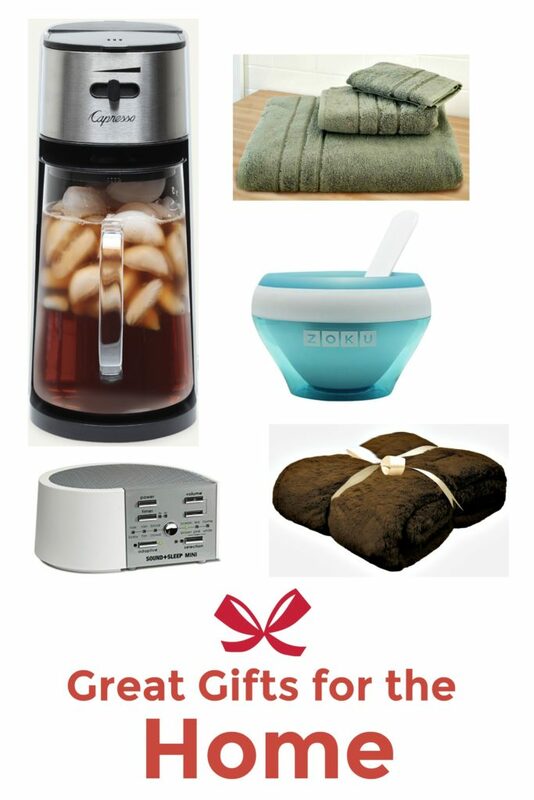 I would love all of these gifts but the Sleep sound mini would be on my wish list. I'd love those soft, plush towels! The bamboo blanket looks amazing and I would love to get it for Christmas! The towels look so soft and would make a nice gift for my daughter. Thank you! I would love the bamboo towels. I hear they are super soft. I see great gifts. My daughter would love the blanket. My grandkids would love the ice cream maker. Kids and ice cream...yum! My mom would LOVE the iced tea maker. She is from the South and grew up drinking iced tea. I don't want anything for myself. I just really want to find a Hatchimal for my niece. They are out of stock everywhere! I would love the Cariloha Bamboo Throw Blanket for myself! Loving that Sleep Machine. We could all use some peaceful sleep these days. I would love to try those towels or the throw blanket. These are lovely gifts, but I usually prefer to give things that will be used up - food, soaps, coffee, etc. That way I'm not contributing to the problem of too much stuff. I want the Cariloha Bamboo Throw Blanket, it looks so soft and warm. These all look like nice gift ideas. I am like you.. I sleep with a fan. I think the Sleep + Sound Mini would be perfect for me! I'd really love the throw blanket but also the sleep sound machine! I love falling asleep to the sound of rain. thanks! I'd love to try the Bamboo Towels. They look so soft. The iced tea maker would make a great gift for me! I would want the bamboo throw blanket. It looks so soft and comfortable. I have to say that I love the throw blanket but also the sleep sound machine! It would be great to fall asleep with these products!! I would love to have a new set of towels! Omg this will literally knock out the rest of my Christmas buy for list! Although id probably keep the tea maker for myself. I am really liking that Cariloha Bamboo Throw Blanket. My husband would really love the ice cream maker,since he has a tremendous ice cream addiction.LOL...I think the ice tea maker would be great.All of these are quite fabulous! I like the Cariloha Bamboo Throw Blanket. I want one of those amazing throw blankets! The ice tea maker would make a fabulous gift for my gallon guzzling ice tea sister. i would love to win !! thank you! would make my christmas list complete! I have the perfect person who would love the ice cream maker. I'm interested in the ice tea maker. I thought those were garlic cloves not ice cubes! I love getting gifts that use on a regular basis! I love the ice cream maker, I use creamer instead of milk for my lactose intolerant hubby and could make his special. My son & his 5 kids would love to have this amazing Zoku Instant Ice Cream Maker, his kiddos would be more than happy to help him. lol. Love this list of gift ideas. Thank you! We need more bath towels, am a blanket LOVER!! The whole fam loves ice Sound machine would be great for my kidos. Ice tea to my in-laws. This would be perfect! Thanks for the giveaway !!! I really like the Capresso Iced Tea Maker. These are all such amazing gifts. If I won I would gift the blanket to my daughter. And I actually would want to keep the rest for when we move so I have some nice new things. I think the Sleep + Sound Mini on this list looks awesome! Sound often helps me sleep. I have some books on my wish list this year. I love the ice cream maker idea. I'd like one! All great gift ideas. I especially like the Sound Machine! I am going to try to get my husband a go pro that is on his list. I like the Capresso Iced Tea Maker. I would love to have the Capresso Iced Tea Maker. I have always wanted one! I love anything made with bamboo, I just got a nightgown made of the material- it is SO soft. I usually ask for new PJs, books, and high end chocolate every year. The iced Tea Maker would be amazing! I drink a lot of iced tea, and this would make it so much easier. I drink iced chai in the morning and herbal raspberry tea in the afternoon. I would love a device that was built for iced tea, versus my current process. I would love sheets for my bed & towels for the bathroom. I could really use them! My grandson would love the Zoku Instant Ice Cream Maker. sound + sound mini would be amazing. i need white noise when i try to sleep. this would be helpful for my fiancé too. he has difficulty falling asleep. I really need new sheets and a comforter...so many nice things. I have had my eye on the Zoku ice cream maker for awhile now. It would make a great gift! I would like the Zoku Ice Cream Maker! I would love another salt lamp. My mom would like the Iced Tea Maker. I would love the throw; it just looks so warm and comfy! The instant ice cream maker sounds cool, definitely want to try that. And we always have room for another cozy blanket. I love tea and the tea maker would be so perfect for me. I think my mom would love the Cariloha Bamboo Throw Blanket. I would like to have some new bedding. Oh goodness - I want it all! The ice cream maker would be pretty cool - I left behind an integral part of my last ice cream machine when I moved out of my last apartment :( so I have half of an unusable machine in my garage now. But that throw! Wow. That looks so comfy. I would love the ice tea maker the best. I'm trying to cut out sugary drinks so this would help me make tea to drink with no added sugars. My mother and father in law would absolutely love the Capresso Iced Tea Maker and it wold be used daily more than likely! I want the towel set! I have a friend who needs that blanket...her place is always cold! Hey y'all, I would love to win anyone of those prizes!!! Make my own ice cream.......YeSSSSS!!!!!!!!!!! I LOOOOVE the sound machine and coffee maker! How awesome! Love these ideas! My son love ice cream and I think that ZOKU Ice Cream maker would be his one joy for the holidays. That is a definite must on his list. I have difficulty sleeping and some friends have recommended some kind of sound machine. I think that is a great gift idea! The sleep therapy system would be wonderful. I read these are great for people with anixety disorder. Had heard about bamboo products but now you have got me excited to try the towels. cariloha is always a great gift idea. I really want some of their sheets. The Sound + Sleep Mini is something that has caught my eye…I've wanted something like that for the longest time. I would so love that tea maker! I am dying for a Ninja coffee bar too! The Cariloha Bamboo Throw Blanket would be wonderful to stay cozy & warm this winter! I love fresh iced tea! REALLY want to win the iced tea maker..looks perfect for me!!!! I have been to many of Cariloha's stores and her bamboo sheets are to for. They are so incredibly soft and keep sooo cool it s that l would love to gift them to my mom. I would love to have the Zoku Instant Ice Cream maker, would make a great family activity. I'd love to have the Sound+Sleep MINI. We have some serious snorers around here. I would love to get a set of the Cariloha Towel Set. Great ideas! I recently got an Amazon Echo and it is great for kids too. They ask Alexa what the weather is like before going to school. 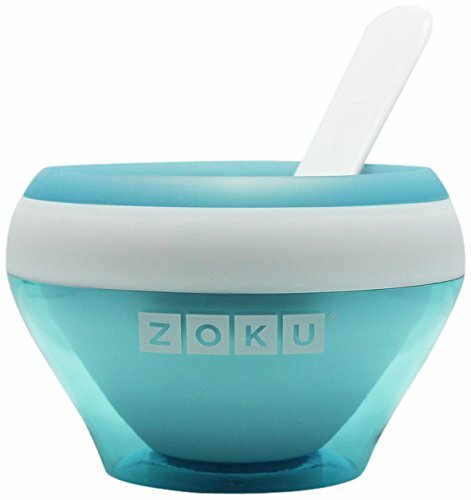 I would really like to have the Zoku Instant Ice Cream Maker! I love the ice cream maker, the throw...ok, love them all! :-) Thank you for this amazing giveaway! I really want a new car, not just because I want it, but because I need it. I would love to have these awesome towels. Everything would make great gifts! I like the ice cream maker. The Capresso Iced Tea Maker would make a wonderful gift for my husband as he loves ice tea. The Cariloha Bamboo Throw Blanket would make a great gift for my youngest son, he just loves to cuddle up in warm, soft blankets. The Sleep + Sound Mini, a sleep therapy system would be a wonderful product for myself to help me get to sleep easier. Love all these products! Thanks for the wonderful giveaway! Those Cariloha Towels look amazing! Definitely want those. Always looking for new towels for our house! I'd like a new blender. thanks for the giveaway! That bamboo blanket looks like it would be so soft and comfy! Oohhh I LOVE Bamboo sets! My brother had some bamboo sheets that I used while I was visiting and I was hooked! I really want the new Harry Potter illustrated book! I would love a new soft blanket! I would love to have any of these, but my whole family would most enjoy the Zoku ice cream maker! We are huge ice cream fanatics and we would definitely use this often! The Cariloha Bamboo Throw Blanket would be perfect for me - I'm always cold! I would love to get the Cariloha Bamboo Throw Blanket for Christmas! I would love to get a folding treadmill this year. And I would really like to give that sound machine a try! I'm the same way, I have to sleep with a fan on or the room is just too quite. I'd really like the Capresso Iced Tea Maker for myself and the rest I would give to family members! Thank you!! I would love a laptop and new bedding. Thank you for the opportunity! The Cariloha Towel Set for my son's new home! The Cariloha Bamboo Throw Blanket would make a great gift for my daughter. I love and want the ice cream maker! I have never made my own ice cream before. I would love to try the Sleep + Sound Mini, a sleep therapy system because I have a hard time sleeping and my daughter would love a new blanket so the Cariloha Bamboo Throw Blanket would be a nice gift for her. Thank you for the opportunity to win such awesome gifts! The Cariloha Bamboo Throw Blanket would be perfect for curling up on the sofa during the COLD Michigan winter. The Zoku Instant Ice Cream Maker !!!!!!!!!!! I like the throw blanket for my dad who recently had a hip replacement. He can snuggle in. I would love the bamboo throw blanket for my house. The bedrooms are kind of cold in the winter! Oh, my mom would LOVE that blanket. It looks so comfy. YUM i want the ice cream maker! Anything Cariloha is such a treat. Ahhhh! Selfishly I would want the towels, I'm in desperate need. But the iced tea maker is exactly what I've been looking for my dad! I want the blanket! My daughter would love the instant ice cream maker! The ice tea maker looks awesome! I want the Sleep + Sound Mini for myself and the Cariloha Bamboo Throw Blanket for my daughter. I would love the ice cream maker. Nothing taste better than home made ice cream. I like the iced tea maker. I'd keep the Cariloha Bamboo Throw Blanket and maybe the ice cream maker. I have people in mind for the other gifts! Such a nice assortment. I'd really dig the Sleep + Sound mini (light sleeper). Would be sure to gift the Capresso Tea maker to my landlord (in hopes of weaning him off of SunDrop). The sleep and sound mini would make a perfect give for my father. I am going to share the link with my mother and see what she thinks. The tea maker is a perfect gift for someone I know that just can't get enough in the summer!! And the rest are just as fabulous I love them all. I like the blanket it looks warm! I would love to have the bamboo throw blanket. I bet this blanket would be very warm. I love Cariloha! Thanks so much for the opportunity to enter this contest! These are all amazing gifts! I love Cariloha and would love to try the other products. My friend would love that Cariloha blanket! We go into their stores every time we're on vacation. SO NICE! I love the Zoku Instant Ice Cream Maker! It would be perfect for our house! I know my mom would love the Cariloha blanket, too...it looks so warm!! Thank you for the chance to win! I can't sleep well without some type of white noise in the room. I often run a fan, but during winter that can make the room cold (even when I face it to the ceiling or a corner). I'd love the Sleep + Sound mini. It would be perfect for me. Towels are useful and a sleep machine would help with sleep--which is good! I'd like to gift myself that brown bamboo blanket. Looks so luxurious! I would be grateful for anything...but that blanket looks AMAZING!! I love all of this, but my son has been begging for a sleep noise machine. This would be awesome! What a great collection of gifts! The Cariloha blanket is calling my name--I love me a good soft throw. But I wouldn't say no to any of the other items, either, and I think they'd be great for several people on my list. Thanks for the ideas, and the chance to win, too! i really want get my kids there own beds for Christmas. We are all currently sleeping in one bed. There are lots of great ideas on this list! I have a few items on my wish list, including an Apple watch! I could check off so many folks with these great gifts. I love it all but like the towels. I could always use some new ones . Any of these would be great gifts for my adult children. Me, I want a new home. oooh these are fun, thanks! Yes I would love cariloha white king sheets. I love this prize pack. The towels, tea maker and sound machine would come in handy. They would all make great gifts. My niece would love the Instant Ice Cream maker. I really want the capresso tea maker! My father would love the ice cream maker! I really want the Sleep + Sound Mini!!!!! I left the wrong tweet URL...I'm sorry. Here is the right one: https://twitter.com/SavewishComp/status/802135256996413441 Sorry about that. I copied the wrong link. Thank you for the giveaway. I have a terrible sleeping pattern (insomnia), and I NEED to have some sort of noise to fall asleep. I really want the sound machine and blanket. I would like to get on a better sleeping pattern. I am a non-traditional college student and need to find a way to sleep better at night. I'm definitely going to look into a sound machine! Aww this is so awesome, thanks for the opportunity. I am a big fan of iced tea. So I am excited about the tea maker. 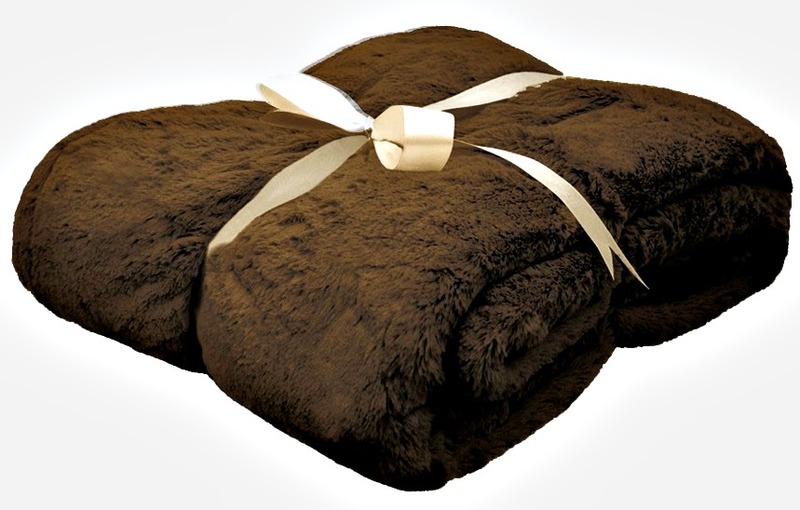 I must have a million blankets around my house but I am drooling over that big brown beauty in this giveaway. It looks so soft and cuddly!!! Thank you for the chance! I love the towel set. I need the sleep machine for sure...and that blanket and life would be grand! I really want a nice little laptop to do sweepstakes on. Not play games, but just enter sweeps. I love all the products posted but would love to try the Capresso Iced Tea Maker. The sleep machine would be a blessing. And the tea maker. I love good gift ideas! It seems all year I see things and think :oh that would be great for ____. But around the holidays I draw a complete blank! I think it's holiday overload. I really would use alot of the prizes who doesn't need nice soft blanket and towels haha. The ice cream maker would be awesome too my son loves ice cream. Great Christmas gifts. The Zoku instant Ice cream maker would be fun to have for my hubby and me. I love the bamboo throw! Missed the zoku ice cream maker deal...that looks awesome also! I love the feel of bamboo yarn and fabric. I've made a few items with it. Love the blanket and the towels, they look so soft! The kids would go crazy over the ice cream maker! I would love one of those Capresso Iced Tea Maker's for Christmas! That Zoku Ice Cream Maker would be a great gift for my mom! I would really like an entire set of new towels. Although most of mine are not ragged, they are faded and more of a mixed bag, and would like to have some coordinated sets. I would love to try the Sleep + Sound Mini. my son has a hard time falling asleep, as do I at times. I would love to keep all of these prizes, but would gift some! The Ice Cream Maker looks like it could be a lot of fun. Doesn't look terribly difficult and would make a great addition to my kitchen gadget obsession! I've always wantes bamboo towels and sheets. They just look so soft and comforting. That blanket looks so warm and comfy! I bet the kids would have lot of fun with the ice cream maker! All of the gifts are pretty great. I would gladly give them to others and would be delighted to receive them. I am not sure that I can pick a favorite. I really like the Zoku for my daughter, she's an ice cream addict! Thanks for the chance to win these awesome prizes! I would love the Zoku Instant Ice Cream Maker. I can really use all of the items listed in the giveaway, but I'm most excited about receiving the Cariloha Bamboo Throw Blanket because I'm always freezing at this time of the year. I love that bamboo throw.. it looks super warm! The Zoku Instant Ice Cream Maker looks like a lot of fun! I love making everything homemade. I would definitely keep the Capresso Iced Tea Maker. My husband loves sweet tea and I end up buying it in plastic bottles, 20 at a time. The cost really adds up. This would help my budget out a ton. Great giveaway! Thanks for hosting it! I have always wanted an ice cream maker! I did not know the Capresso Iced Tea Maker existed either! My daughter would love this! 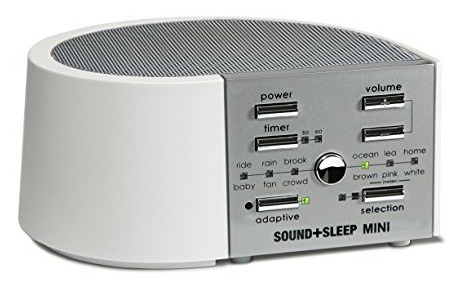 I'd love the sleep & sound mini, it would help out a lot in my house! I would love the Zoku ice cream maker. I like the Zoku Instant Ice Cream Maker. I like the Zoku icecream maker, have been eyeing that for a while. I would love the Capresso Iced Tea Maker as I do not drink soda and love tea. My daughter has her eye on the Cariloha Crazy Soft Bamboo Throw Blanket & Sleep + Sound Mini ! I liked the plush blanket! Great for the cold mornings. We could use some new towels, that's for sure. I would love the Zoku ice cream maker for my daughter. All the prizes are awesome. Thanks so much for the giveaway.